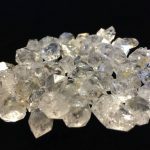 Herkimer Diamond: Physically – Master Healing Stone/Anti Depression. Also known to aid with Energy Amplification, Purification, Visions, Dreams, Angel stone. 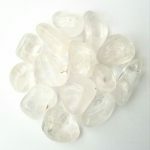 Clear Quartz: Physically – Master Healing Stone/Mental Clarity. Also know to aid with Power, Protection, Harmony, Balance and Energy. 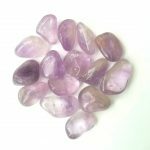 Amethyst: Physically – Release Habits, Healing & Pain Relief. Also known to aid with increasing Peace, Psychic, Inner Strength, Stability, Visions and Dreams. 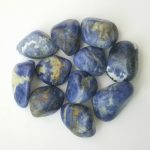 Sodalite: Physically – Stimulates Pineal, blocks electromagnetic pollution. Also known to aid with Intelligence, Efficiency, Communication, Intuition and Truth. 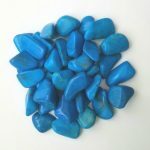 Blue Howlite: Physically – Decrease Stress, Lowers Pain, Insomnia. 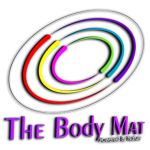 Also known to aid with Communication, Calmness, Clarity and Dream Recall. 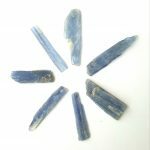 Blue Kyanite: Physically – Lowers Stress & Anger, Stronger Memory. Also known to aid with Communication, Opens & Aligns Energy, Balancing and Protection. 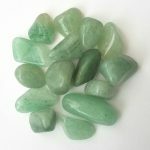 Green Aventurine: Physically – Emotional Clarity & Calmness. Also known to aid with Happiness, Positive Outlook, Success and Prosperity. 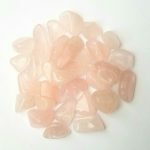 Rose Quartz: Physically – Slows Aging, Restores Cells to Balance. Also known to aid with Unconditional Love, Opens the Heart, Romance and Self-Love. 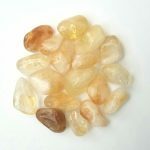 Citrine: Physically – Abdomen, Stress, Circulation, Regeneration. Also known to aid with Success, Abundance, Manifestation, Energy and Creativity. 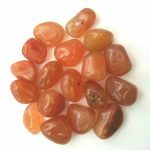 Carnelian: Physically – Helps with lower back, Raises Metabolism, Rejuvenates Cells, Fertility. Also known to aid with Creativity, Individuality, Courage and Manifestation. 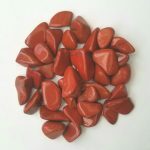 Red Jasper: Physically – Detox & Strengthening of Circulatory System. Also known to aid with Justice, Fairness and Controlled Passions. 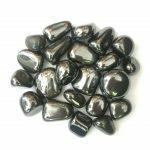 Hematite: Physically – Improves Circulation, Arthritis, and Pain. Also known to aid with Mental Organization, Stability and Grounding. 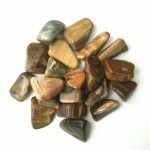 Petrified Wood: Physically – Helps heal Bones, Back and Leg pain. Also known to aid with Grounding, Practicality, Success and Links to Past. 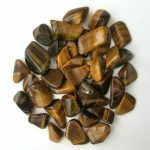 Tiger’s Eye: Physically – Helps strengthen bones and increase Clarity of Thought. 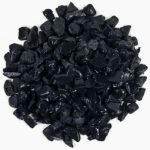 Also known to aid with High Vibration Grounding, Protection, Reduction of Fear and Anxiety, plus Aids in Change. *Stone Meaning Disclosure: Note that healing meanings behind crystals are spiritual supports to healing and are not prescriptions or healthcare information and should are intended to be used in conjunction with, not be used in lei of medical care.